As a 4-H volunteer you will play a key role as an adult mentor and role model for young people that live in your community. MORE INFO. Adults can choose to serve as project leaders, helping kids enrolled in specific areas learn and complete their project requirements, or as area activity leaders, helping at specific workshops or school programs. Project leaders are needed in a variety of areas, including shooting sports, cake decorating, sewing, rabbit, cooking, outdoor adventure, and photography. The program is also seeking adults to be activity leaders at upcoming outdoor adventure, photography and horticulture workshops. 4-H Volunteers help youth develop leadership, communication, teamwork and citizenship skills and form friendships with youth from all over the state. For more information on serving as a volunteer with the 4-H youth development program contact the San Luis Valley Extension office at 719-852-7381 or slv4H@colostate.edu. 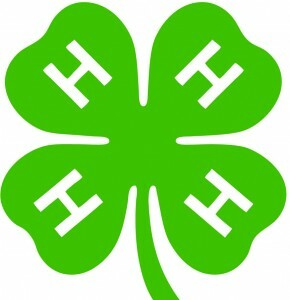 4-H is a national program that teaches kids life skills through partnerships with caring adults. The program is a cooperative effort between Colorado State University Extension and Alamosa, Conejos, Costilla, Mineral, Rio Grande and Saguache counties. Extension programs are available to all without discrimination. This entry was posted in Uncategorized and tagged Saguache, Saguache Colorado, Saguache County Colorado, Saguache events, Saguache news, Saguache Today, Saguache traffic, Saguache weather, SaguacheToday.com, San Luis Valley 4H. Bookmark the permalink.